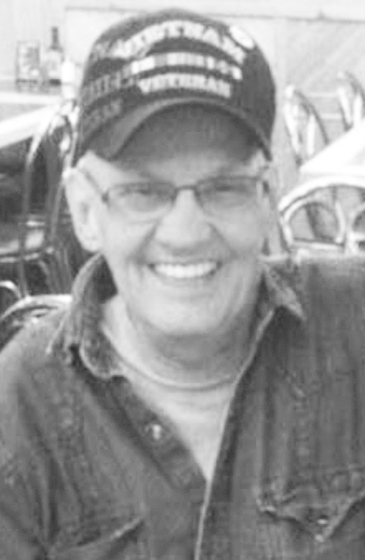 NEGAUNEE, MI – Peter J. Ellis, 71, of Negaunee, passed away Friday morning, November 9, 2018 at his home surrounded by his family and under the care of U.P. Home Health and Hospice. Peter was born on July 7, 1947 in Marquette to the late Peter and Delores (Kiltinen) Ellis. Peter was in the U.S. Army from 1969-1972 during the Vietnam War in Vietnam and Germany. He previously worked as an aide at Adult Learning Systems until ill health brought him to retirement. Peter loved life and enjoyed fishing and hunting, dancing, drinking beer and racing cars. He also loved his grandchildren and spending time with them. Peter is survived by his wife, Linda Ellis of Negaunee; children, Tanya (John VanDreel) Ellis of Negaunee, Joseph (Brandi Johnson) Ellis of Negaunee, Michelle (Craig Hanninen) Verboczski of Gwinn and Tom (Becky Roberts) Falk of Appleton, WI; six grandchildren, Montana, Kaytlinn, Sierra, Savanna, Kaiylah, Hunter, Logan, Alec & Chloe; his siblings, Bonnie (Tom) O’Neil of Marquette, Donna Grady of Big Bay, Linda (Charles) Cain of Iron Mountain, Sarah (Dennis) Swain, Debbie Carlstrom of Gwinn, Joyce Kantola of Marquette, Wilbert (Brenda) Carlstrom of Marquette, Bette (Chris) Yost of Alma, MI and Kathy Ellis of Mt. Pleasant, MI; also numerous nieces, nephews, aunts, uncles and cousins. He was preceded in death by his parents; infant son, Peter Joseph Ellis; four brothers, David Ellis, Jim Grady, Edwin Carlstrom and Dale Kantola; and his step-father, Harpo Carlstrom. A memorial service will be held on Friday, November 16 at 11 am at the Canale-Tonella Funeral Home with Rev. Andrew Plocher officiating. Visitation will be held one hour prior to the service in the funeral home. Military Honors will be provided by the American Legion Post #44.